The time spent behind your sewing machine is some of the most precious, so you deserve a machine that lets you get the most out of it. 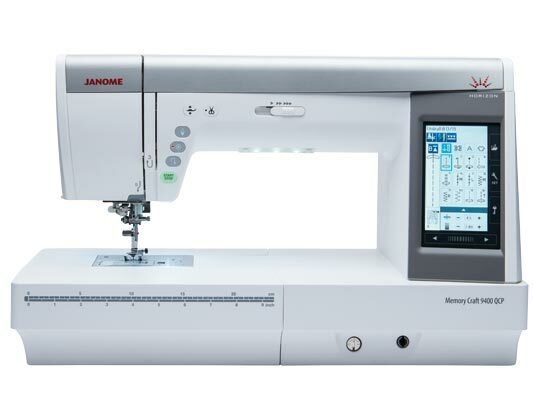 Created with special, easy and time-saving features, the Horizon Memory Craft 9400 is unlocking limitless possibilities for quilters to escape into a world of pure creativity. Quilters now have a full 11″ of bed space to the right of the needle to store extra fabric from a quilt. In addition, quilters can enjoy exceptionally smooth quilt piecing with the included AcuFeed™ Flex Layered Fabric Feeding System; achieve faster performance with a sewing speed of 1,060 SPM and view their work, shadow-free, with the machine’s retractable High Light™. Navigation through all of these features has become easier with the MC9400’s new LCD color touchscreen.